Maserati has been in a state of flux after parent company FCA decided to lump the Italian marque with Alfa Romeo. After admitting this was a bad financial decision for Maserati, FCA is now on the right path to elevate the brand back to its exotic status. This will involve introducing new models, including replacements for the Ghibli, Quattroporte, and Levante with electrified drivetrains. Among the new models, Maserati will replace the GranTurismo with a new flagship sports car based on the Alfieri Concept from a few years back. We've been waiting for a production version of the Alfieri for years now after the concept version turned heads at the 2014 Geneva Motor Show. After speaking with a Maserati spokesperson at this year's 2019 Geneva Motor Show, we can confirm that a new two-door sports coupe will debut one year from now in Geneva six years after the Alfieri concept was first shown. 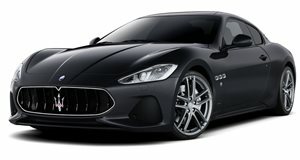 Maserati is currently preparing its factory in Modena, Italy to build the Alfieri and production should begin in 2020. The all-new model will be designed with help from Ferrari and will arrive with three different powertrain options. Along with a mild hybrid, Maserati will also offer plug-in hybrid and fully electric drivetrains, which will be available on the Ghibli, Quattroporte and Levante replacements as well. We know the two-door will use a two-seat layout rather than the 2+2 layout found on the current GranTurismo and the electric version should hit 60 mph in just two seconds with a top speed of 186 mph. It's a bit early to speculate on what engine will power the hybrid and PHEV versions, though we imagine it will be a twin-turbo V6 developed with help from Ferrari. A year may seem like a while to wait but considering how jaw-dropping the concept was, we think the Alfieri will be worth the wait. After its reveal at the 2020 Geneva Motor Show, expect the car to arrive in showrooms sometime in 2021.